Should the Post of State Governors be Abolished? The recent State Assembly dramas in Uttarakhand and Arunachal Pradesh as well as the open hostilities between the Arvind Kejriwal government and the Delhi governor have swung public focus on the role of governors of states in India, their need, and efficacy in a free country, as well as on the powers and immunities they enjoy. And to be succinct, in today’s digital age, these legacy figures of the British Raj, firmly ensconced in Raj Bhavans in each state of the country, are a terrible drain on the public exchequer ad infinitum, with nothing positive to contribute. In other words, it’s time for them to go. By saying this, the intention is not to argue that the functions of a governor, which are indeed essential for any democracy to succeed, need to be done away with. But that given the development of digital communications, and in an age where criminals depose in court through video conference, or our Prime Minister addresses crowds in New York while sitting in New Delhi, the need to have Raj Bhavans in every state and Rajyapals with their group of cronies and attaches, only to represent the hand of the President, is unnecessary, and exorbitant. It is better to centralize gubernatorial functions in the President’s office, with departments added for every state in New Delhi, and whittle down the powers and duties (or meddling in elected state governments) to bare essentials, like the need for President’s Rule, or caretaker functions during a change in government in states. If the millions of poor, illiterate people in India can be urged towards internet banking and cashless transactions and the use of e-wallets overnight, there is no reason why swearing in of state cabinets cannot be done through video conference directly by the President of India. It will create less hassle, more prestige, and symbolic involvement of the entire nation in ceremonial functions of a state. There is also no reason to maintain plush old-age homes for questionable characters, providing them immunity from prosecution, and allowing them to directly meddle in movements of elected state governments, thus slowing the speed of policy execution and helping to hold democracy to ransom. Fusing the powers and roles of individual governors into the President’s office will provide more centralization as far as the Union executive is concerned, and at the same time provide more decentralization and greater freedom to state governments. This will be a win-win situation for both the Centre and the states. Every state has their painful history of bills pending for years before governors and being unable to exercise the will of the people, frustrating the will of elected representatives of the people residing in a legislative assembly, and of witnessing democracy demolished on the altar of the Raj of a Rajyapal. 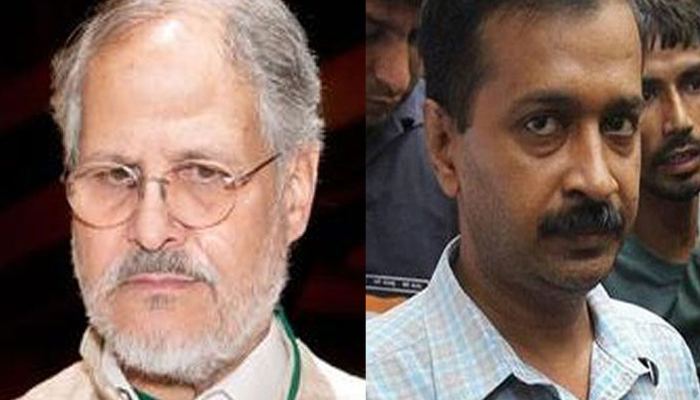 In an observation by the Supreme Court on 14 December 2016 in Delhi CM-LG feud, it has been explicitly accepted that elected governments should have power to run the state. Governors are not elected but selected. They do not represent the unnamed multitudes of India, the sons of the soil who toil to make India what it is. They are not chosen by the people, but represent the baggage of vested interests of those who want to ensure their Raj remains on democratically elected state governments. And for this unwholesome service, these governors not only draw fat salaries, but pensions also extend to their spouses, and even after retirement from their posts the poor of India have to bear salaries of their attaches, costs for setting up of their post-retirement offices and keep on feeding the “millionaire paupers” until their deaths. The people of this country can impeach the President of India, however difficult that process might be, but they cannot impeach the governor of a state. There’s no legal provision for that. Only the President of India can sack a governor, a rare occasion, and that takes place only when the entire nation cries out in shame, and there is no room left to brush their misdeeds or mistakes under the rug. Understand this, the post of a governor of a state stands outside time and the democratic framework. Constitutional functionaries like the President, the Chief Justice of India or the Comptroller & Auditor General can be impeached or removed by the will of the electorate so exercised because they are constitutional functionaries. But not a state governor. However, if a governor were truly a constitutional functionary in the sense of those mentioned above, then he or she would have been subject to impeachment like the President. He or she should have been accountable to the people of the states affected by their decisions. This is not so. Governors can play the President’s role at the state-level, but with unfettered impunity. In other words, though a governor’s actions directly affect the present and future of the people of a state, the electorate of that state – who are impacted by the governor’s actions, have no way to directly remove their headache and have to suffer in silence. This is a situation in line with interests held by the erstwhile British Raj, who needed representatives to hold enough power to subjugate the Indian masses across the country. But in a free country, this is a travesty of natural justice and democratic principles. Nothing in the Constitution can be cited to glorify this, for the creators of our Constitution, by themselves, have given provisions for the Constitution to be amended – thereby declaring that the document is neither final nor immutable. Don’t turn our Constitution into a Holy Book to support the Raj of Rajyapals, for more have been slaughtered in the names of Holy Books in human history, more mass atrocities committed, than in the name of anything else. Here, it needs to be emphasized that flexibility is a sign of life, and rigidity that of death. When creating the structure of a new nation, the creators of our Constitution followed some templates, much of it borrowed from the British Raj, and the Viceroy became the President, with provincial governors becoming Rajyapals. In fact, the makers of our Constitution were experimenting. And it seems they were also being cautious with the aim of ensuring that they do not upset a functioning administration and bureaucracy handed down by the British. But over the decades this experimentation has proved that coupled with progress in technological civilization the vestiges of the Raj, the Rajyapals, can be safely done away with. The role of the current governors of states in India is not in line with the thoughts of Dr Babasaheb Ambedkar, who, while speaking on the role of a state governor in the Constituent Assembly, said, “If the Constitution remains in principle the same as we intend that it should be, that the Governor should be a purely constitutional Governor, with no power of interference in the administration of the province.” But that intervention comes indirectly in many forms. If you can’t pass bills, can’t appoint top functionaries without the assent of the governor, interference is implied. If one looks at the governors who came after Independence, from Surjit Singh Barnala to Sheila Dixit, from Banwarlilal Purohit to Vajubhai Vala, a majority of them are veteran politicians. The rest are drawn from the ranks of civil servants, police officers, and Armymen. Someone like President Abdul Kalam is a real rarity amongst these top executive positions – that of the President and governors – and one will have to search via satellites to find a genuinely qualified person for this post, like Kiran Bedi, who is not a diehard partisan of some party or the other. In fact, the post of a governor has become reward postings for politicians in a bid to provide them with privileges and pensions at the cost of the taxpayers, and for mocking democracy through some prevailing loopholes in the Indian Constitution. Those loopholes might have seeped in just because the executive had to be fashioned on the pattern of the bureaucracy that was being inherited from the British Raj, along with Rajyapals. However, since then everything has changed drastically. Furthermore, we do not want the inept handling of the democracy like that happened in Arunachal Pradesh in August this year, leading to the suicide of someone of the stature and integrity of immediate past Chief Minister Kalikho Pul. As such, it’s time to do away with the governors, because despite their actions being held as ultra vires, mala fide and unconstitutional by courts in many cases – till date, no governor has resigned nor has any criminal proceedings ever been initiated for abuse of power against any governor. Hence, it is high time to eliminate the loopholes that slow down democracy in India. These dignitaries who have no accountability to the electorate but yet determine the fate of the people, need to go, and it is time to rename Raj Bhavans, and turn them into museums or public utilities, rather than spending crores to stroke egos of some who believe themselves to be above and beyond the people of this country. Either build sufficient accountability to the electorate whose lives are affected by the actions of governors, or centralize functions of all governors and vest them with the office of the President. The governors, anyway, do not have the duty of heading the military, as the President has. Furthermore, splurging crores of rupees on Rajyapals and Raj Bhavans is hardly something a country like ours can continue to be burdened with. Personally I think Delhi, J&K and NE should be managed by the Central gov or President’s rule to have faster implementation of projects and ease of doing business. This thought is purely from the citizen perspective as it helps everyone. Good or bad, the ruling party ( be it a single part or a coalition ) should lead for the Same tenure as the central Govt. in this model, if you need to have LG or CM managing-irrespective, all will be aligned to Union Govt. Yes as they have nothing do except wasting time, enjoying free life and eating up tax payers money. There is no performance. In fact Vice President is also of lowest. Kaur in terms of work. Most of the governors are politicians in their wrong retirement age – 80 and above which is a farce. They infect disturb the state working by interfering unnecessarily if they come from the party ruling the centre. So this position is more destructive and has nothing to do with people, their woes and worries etc. If your logic are correct then why even post of President is required. In case where a need of caretaker is felt, the CJI can fulfill that. Governor position must be there as there are chances of Anarchist CM in India like having in Dehli who do not believe in constituents or rule of law…keep defaming everyone and blaming Modi for everything…most irresponsible CM ever India has. Constitutional ammendments as per the need of present time are very essential.Those who have framed constitution were having a pious mind and for them Nation was the first.Nowadays money and material are first..very few care for country. I fully endorse the idea to abolish Governors and Lt governors, because they are pawns in the hands of central government. Against the Federal government System. Must be abolished. Constitutional amendment needed to curtail the powers of appionted Authority- Lt. Governor against elected Athority- Chief Minster. After all it is democratic country. Well highlighted gaps in functionaries. Wastage of public exchequer. if other metros have good enough mayors and commissioners to take care of the administration, why should delhi need a state government at all? with so many big heads in the capital its but natural to have conflicts every other day. Governor in Delhi state is a must only & only for people like Kejri… Or if Governor is not there in Delhi.. Kejri will be like a Monkey having Sword in his hand..
We are talking two different subjects. Check and balances are must in every system for everyone. I refrain giving the judgement of irresponsible or anarchist because for anything and everything, there are different perspective/outlook. We must welcome all those perspective with grace, respect and space. Yesterday honorable supreme court has given valuable regarding this matter. Difficult to comment about the need of the state Governors. However, in a mature democracy, the elected government must have the right to move forward with their agenda. The balance of power and respect for both the positions is must, however, what is the best way to strike the balance is the big question ? This post should not be abolished at any cost. Wow! Okay people of India. I am seriously glad that your thinking about the future. Trust me work with and discuss a lot of things with India people all the time. I am more open mind than most people here in the United States. Now here is the down side from what you are hearing, reading and viewing. Trust you have to listen very carefully to everything and then go back and do your homework. Trust me life here in the United States is about get either very positive or very extremely negative. Viewing what US is doing.over here you have no idea. Follow the path of the future. Do your Due diligence believe me it will pay off. Going digital is all about the future. Down side to your thought process when it comes to smart cities of the future. You do not want to look to the United States on this matter. We have enough trouble trying to evolve out of the stone age and the industrial age. We are having problem changing over from fossil fuels versus renewable. If you want to become like us and follow our Declaration of Independence and Constitution great as long as you follow it and not let money corrupt your government. PLEASE PLEASE do yourselves a favor listen to the young people around your country that benefit for the future. Post of governors is to provide employment for retired politicians!!!! Honorary titles!! required to be abolished.causes heavy expenditure. It seems at time we should have communist government, just for the sake of positive change ..
not working administration in new delhi . children are still beging and put in hazardous job .resign both ,stop disaster.. In any case in a federal set up a representative of the Executive is needed in states, call it by whatever name you like. But, it won’t make a difference. So better to continue with the same system which exists now. If any Governor works as an agent of the Centre then it is Personality not the System which is at fault. Delhi police reports Center, Delhi Bureaucrats report to LG, Delhi Govt doesn’t have its own Crime Branch.Then how will an elected govt will govern a state ? Hope Supreme court will rule in favor of the elected govt. At least not until He’s our CM !! The post of Governor is very important to control madness & whimsical behaviour of jealous persons at times at the helm of authority. First the politicians and parties having base in religion and caste then politicians either promise or promote or bestow freebies/subsidies should be declared illegal constitutionally. Governor or CM , one is sufficient but should not be given blind powers to distribute and destroy wealth. In fact, for that matter look at Rajya Sabha. It is misused by people who have lost public mandate to sneak into the corridors of power. Kejriwal is a politician who won on populism. Prior to his government no body even knew about an LG in Delhi. He continues making headlines so that public supports him. Governors are nothing more but puppets in hands of central government. They are a ceremonial post burdening the country and this should end with political consensus. I agree that President can take care of state activities in this age of digitisation. But far off states like in south, there must be a representative to oversee functioning of state governments. It was the Congress government that started the trend of dismissing state governments and removing governors after Janata Dal came into picture. Congress corrupted the political system of India. There were many errors done by constituent assembly while preparing constitution. Not just governor, even multi-party system and coalition governments should be reworked by tweaking constitution.